Even though math is not my favorite subject, I’ve had a lot of fun providing math activities that push them just a little further then they’ve gone before. Are you a math-loving family? Do you have a collection of jokes about math or school jokes? Share them in the comments! I find the best jokes in the comments of my jokes posts. 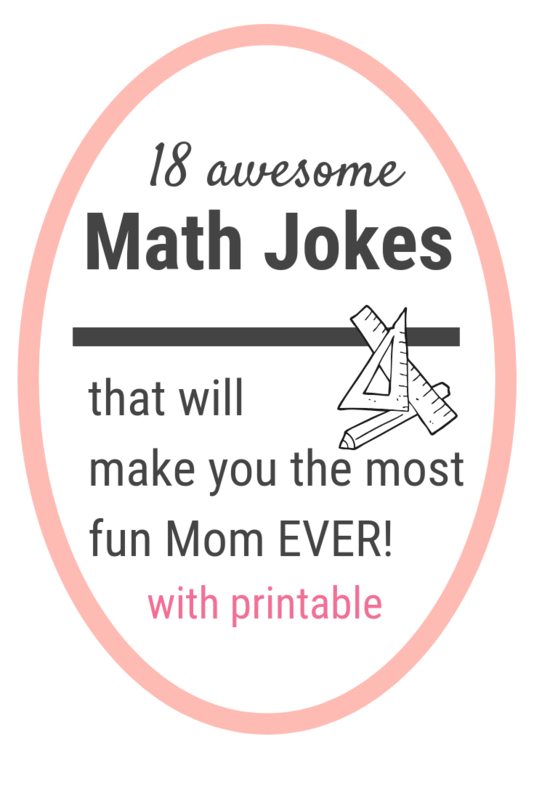 Click here to print the Math Jokes. What did zero say to eight? – Nice belt. Why was the math book sad? – Because it had too many problems. What did the triangle say to the circle? – You’re pointless. Why are circles so hot? – Because they are 360 degrees. What’s the king of the pencil case? – The ruler. What tool do you use for math? – MultiPLIERS. Why didn’t the two 4’s want any dinner? Because they already 8! 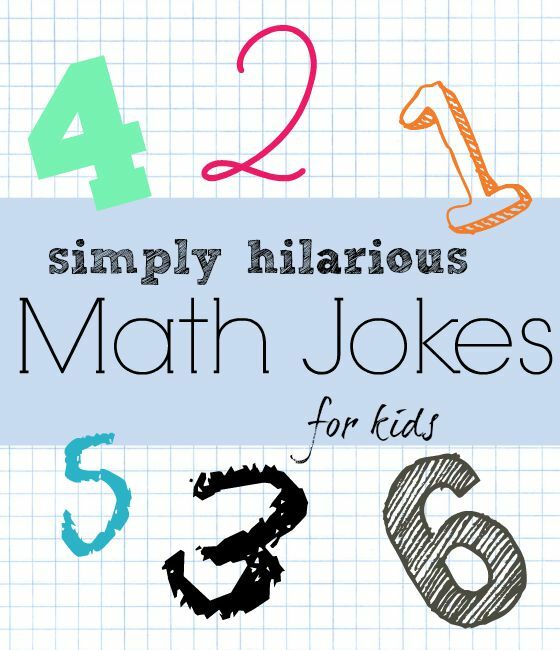 If your kids love these math jokes they might also like riddles. Check out these printable riddles for kids (with answers). What is a math teacher’s favorite season? – SUMmer. How do you make one vanish? – Add a ‘g’ to the beginning and it’s gone. What would you get if you crossed a dog and a calculator? – A friend you can count on. How did the student get the answer to ten minus ten? – He zeroed in on it. How did the little kids like learning addition? – They thought it was a real plus. What is an insects favorite subject at school? – MOTHematics. Why was the student doing multiplication on the floor? – He was told not to use tables. Which king loved fractions? – Henry the 1/8. Why is the obtuse triangle always upset? – Because it is never right. What do you eat during math class? – Pumpkin PI. Best Joke Books for 7 year olds. Add your favorite jokes about math in the comment section. 5 Funny Joke Books for 7 year olds! Why wouldn’t the man eat 288 eggs? Because it was two gross. Why did 1/5 see a therapist? He was 2/10! Where should you go when you’re cold? To to corner, because it’s 90 degrees! Please stop asking us to find your x, she is not coming back. We don’t know y either. Fantastic! Thanks, I shared these with my ESL students, they love ’em! My favorite math joke is: why was 6 afraid of 7? Because 7 ate (8) 9!!!!???? Why did 7 eat 9? Because you supposed to have 3 squared meals a day. What did the real number say to Pi? You are being irrational! Why was six afraid of seven? Because seven ate (eight ) nine. Q.) What do you call math friends?